Are you currently planning to build a funeral home parlor? 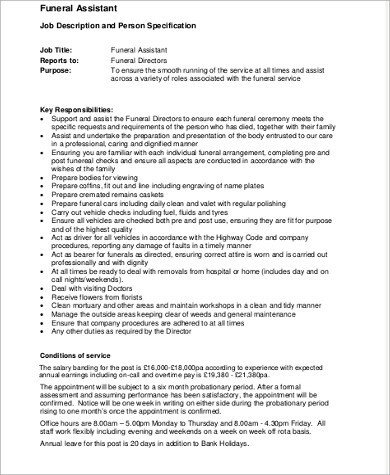 Or if you are already managing one, do you have any need for morticians? 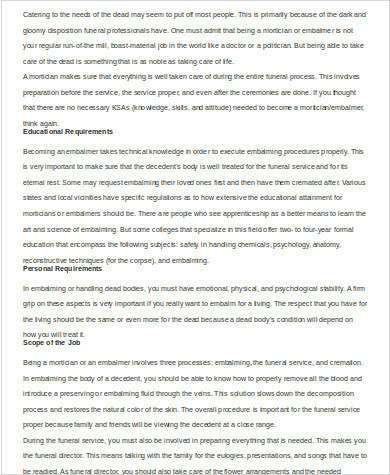 Then in order to hire the most fitting person for the job, you need to refer to a mortician job description in screening the qualifications of job applicants.Aside from that, you also need this job description in order to ensure the efficiency of your hired morticians. 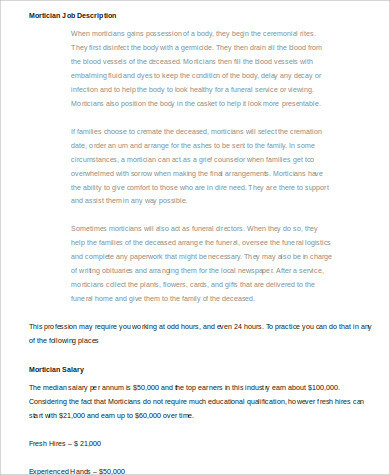 For your guidance, you may use our mortician Job Description Samples as basis for your own; or you may opt to simply download one of these and tweak it according to your preferences. 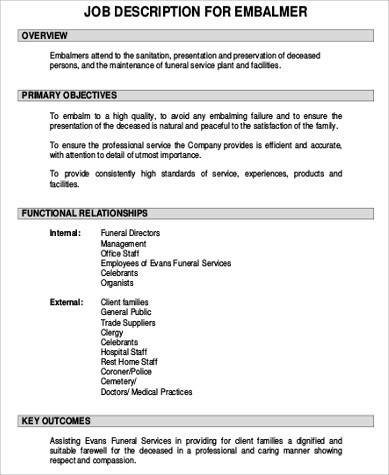 Scroll down below and click on the one that suits your funeral parlor needs! makes sure that the venue for the funeral rites is reserved or prepared beforehand. 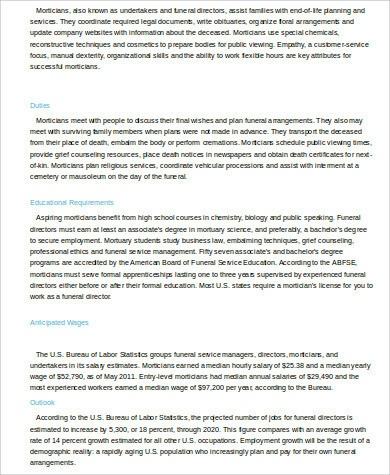 Aside from mortician job descriptions, we also have Team Leader Job Description Samples that are available for download. Simply click on the link provided. counsels the family and close relatives of the deceased whenever they are showing excessive symptoms of grief. While this may be an emotive function, it is important to note that one way of gaining and retaining customers is to ensure that they feel comforted by the humane aspect of a mortician’s service. 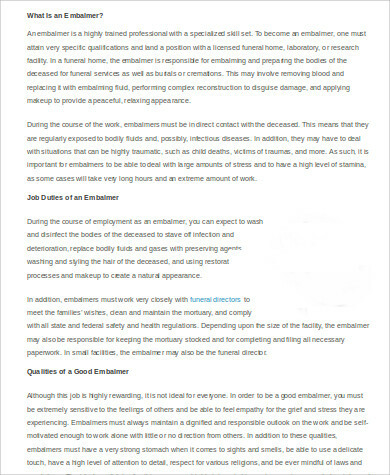 serve as basis for creating a training and development plan for the mortician employees.